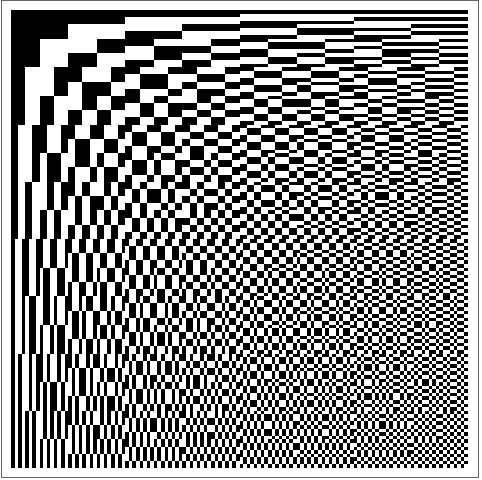 returns an n×n Hadamard matrix. Each entry Hrs of the Hadamard matrix is by default defined as , where , is the bit in the binary representation of the integer , and . 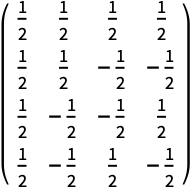 Rows or columns of the HadamardMatrix are basis sequences of the DiscreteHadamardTransform. Possible method settings are: "BitComplement", "Sequency".